For those who have a Blog or Website, there is no day to learn SEO from starting to find out about SEO, how to improve SEO on the Blog, to find the latest information about SEO. Many sites or blogs that discuss SEO and Blogging, even contain niches that affect Blog and SEO. However, most sites that provide the best SEO information speak English, maybe because it's an international language that can be used by many people. But no need to worry that you can use Google Translate. We recommend using Google Chrome equipped with Google Translate. 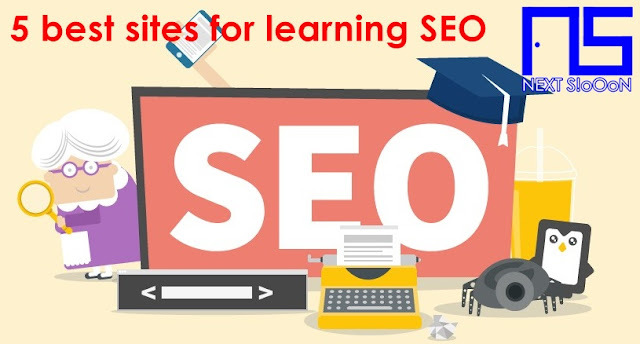 The following 5 best sites according to Next Siooon (NS) in the World that discuss SEO and Blogging are complete starting from Basic to Professional. Blog that was established since 2005, the contents of the blog are very complete from the Basic Blog Guide, SEO, to Monetization Blog (Making money from Blogs). In addition there are also some tips for beginners to make Blog more professional. In addition Dailyblog always holds competitions for Bloggers, so there are many bloggers from all over the world who visit DailyBlogTips. This is one of the best blogs in the world regarding SEO and Blog information. Blogs that provide lightweight and easy to learn content, invite Bloggers to share Together and learn Together about SEO and Blogging. There is a lot of up-to-date information on how to make Blogs more easily known to people and tips so that the Blog is always crowded. This site can be used as a recommendation for novice Bloggers who want to learn SEO. Next is a fresh blog and discussing new things about SEO and Blogging, making summaries every year like Blogging Tips in 2017 and 2018. Content on this site is also very unique and interesting, easy to learn. But for beginners, you should use the DailyBlogTips and ProBlogger sites. As the name implies, this site discusses a lot of information about tips and tricks for creating interesting articles and content on the Blog. Building and improving the quality of SEO Blogs, at MyBloggerTricks there is also information about how to make Blog lighter and faster to access with a guide to optimizing templates on Blogs. The last CopyBlogger site, provides interesting content about Marketing, Blogs, SEO, and Tips to make money from Blogs. In this blog there are many interesting and exciting articles, besides that Blogging information is always updated. On this site, bloggers are encouraged because learning SEO is easy and can be done by anyone. That's the site to learn about Blogging, SEO, and Blog Monetization complete and already Next Siooon (NS) sort by the best sites. Hopefully it will be useful for all of us who are currently managing a Website / Blog. Keywords: SEO Blog Monetization, Best Site SEO Blog Monetization, Best Sites for Learning SEO Blogs Monetization, Sites that Discuss SEO Tips and Tricks Blog Monetization, The Best Sites in the World that discuss SEO Blogs Monetization, Blogs Best Websites with niche SEO Blog Monetization, Where to Learn SEO Blog Monetization, How to Learn SEO Blog Monetization, Tips and Tricks for Learning SEO Blog Monetization, Learning SEO Blog Monetization for Beginners.